It’s only taken two weeks for Cove to become a strong sitter, YAY! So of course I did a little shoot with my indoor plants (fake I’ll admit because I just don’t water them enough!) His sisters all have flower names which I wasn’t going to torture him with but he did get a natural ocean name instead. 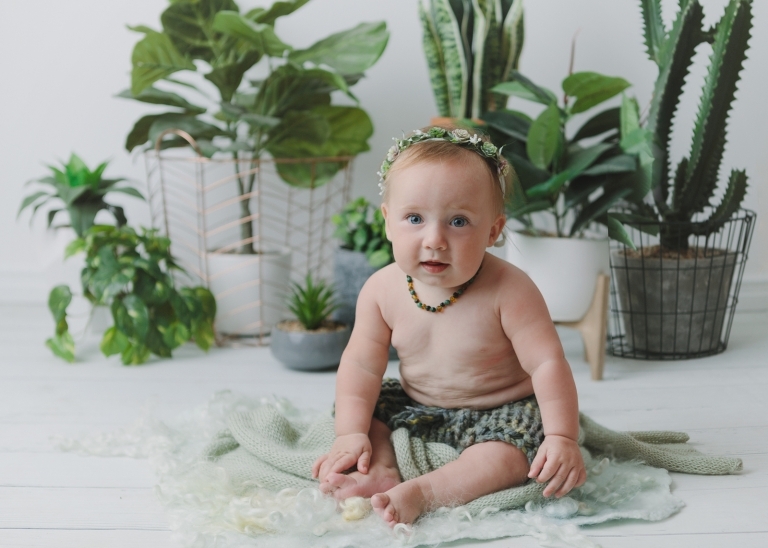 It doesn’t mean he can’t have a plant based photo shoot though. 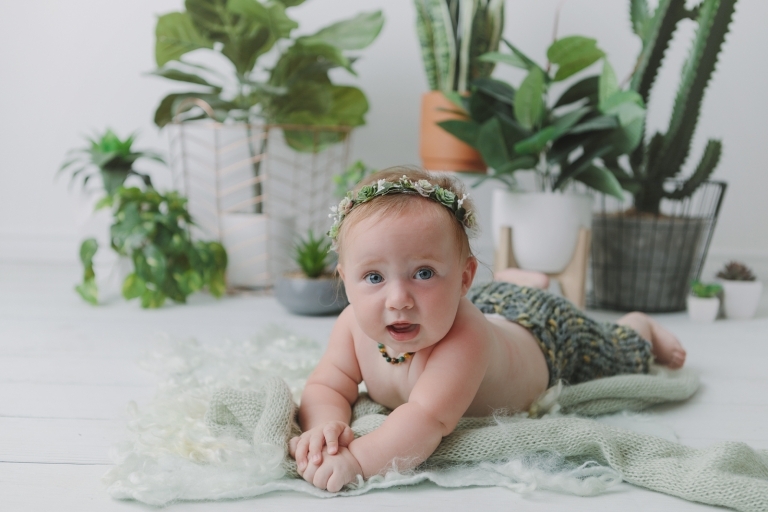 I purchased the little cactus headband just for him for his newborn photos and now he is getting a chance to wear it again for his half year birthday shoot. If you like my photos please remember to like my Facebook page at Jessica Lockhart Photography to keep up to date with my latest work. For more of my personal photos mixed in with my client sessions please like my Instagram feed at Jessica Anna Lockhart. If you have any questions please contact me for details.